Complete Anatomy and Physiology Online Study Course and 4 Full-length (timed) Practice Exams. Questions written in the style of the exam. All questions have complete explanation/rationales. 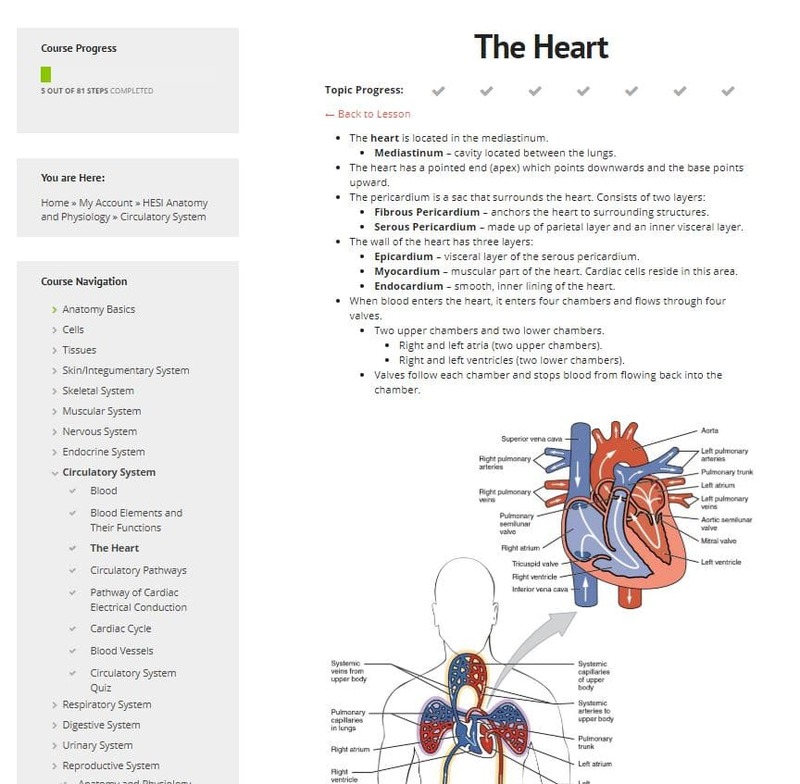 Review course covers all of the topics covered on the HESI A2 Anatomy and Physiology exam. Learn only what’s going to be on the test, we won’t waste your time. The fastest way to learn the material! All of our exam prep courses are available on any device – including smartphones and tablets. Includes 4 courses: Math, Grammar, Reading, and Vocab and 3 full-length (timed) practice exams. One time payment for 3 months unlimited studying. BONUS: Free 3 month extension. Includes 5 courses: Core (Math, Grammar, Reading and Vocab) + Anatomy & Physiology and Full-length (timed) practice exams. One time payment for 3 months unlimited studying. BONUS: Free 3 month extension. Includes 5 courses: Math, Reading, English & Language Usage, Anatomy & Physiology and Science and 3 full-length (timed) practice exams. One time payment for 3 months unlimited studying. BONUS: Free 3 month extension.